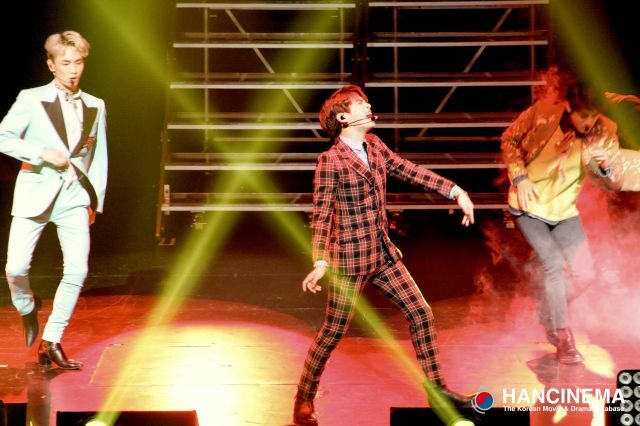 After two tantalizing fanmeets in 2016 and a few short appearances at North American KCons and festivals, SHINee has finally brought full-length concerts to North America! 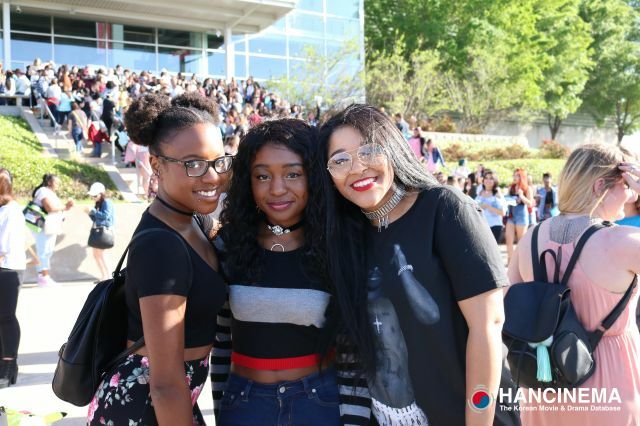 The U.S. saw two concerts this past weekend, one in Grand Prairie, Texas on Friday May 24, and the other in L.A. on Sunday May 26. 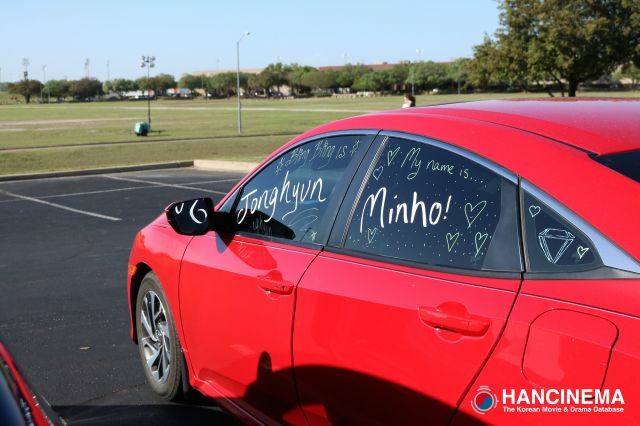 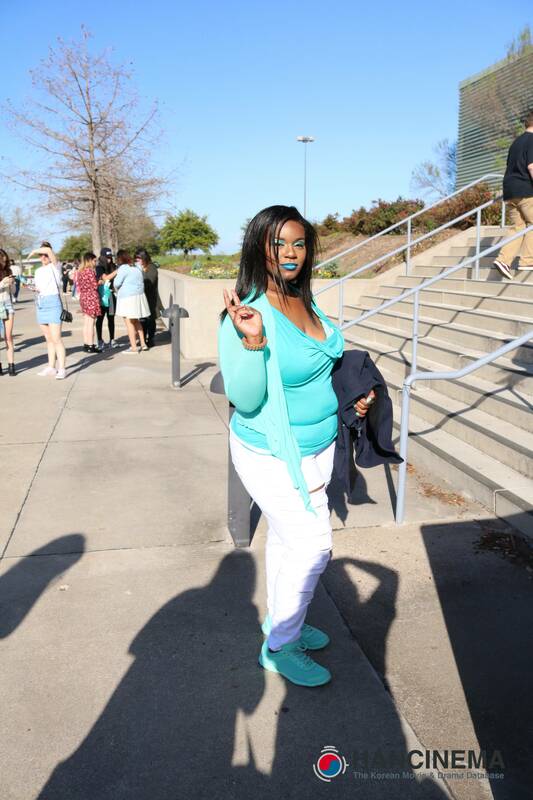 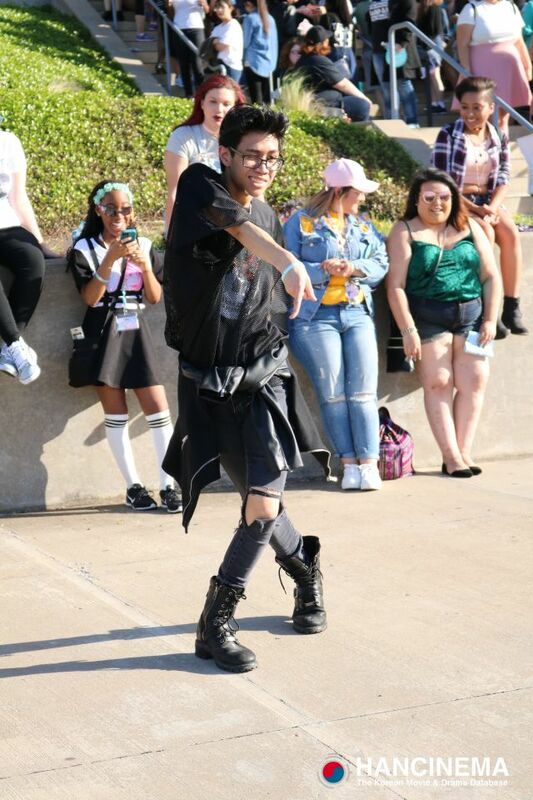 HanCinema attended the Dallas concert where fans queued up late morning to collect merchandise, many dressed in their SHINee best. But it was around 5:00, just before the parking lot officially opened, that fans started to gather in force. 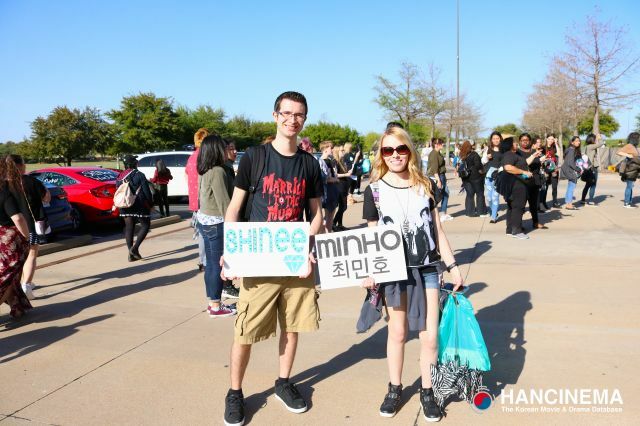 SHINee USA and other fan groups had organized banners and projects to show love and dedication to the K-pop supergroup. 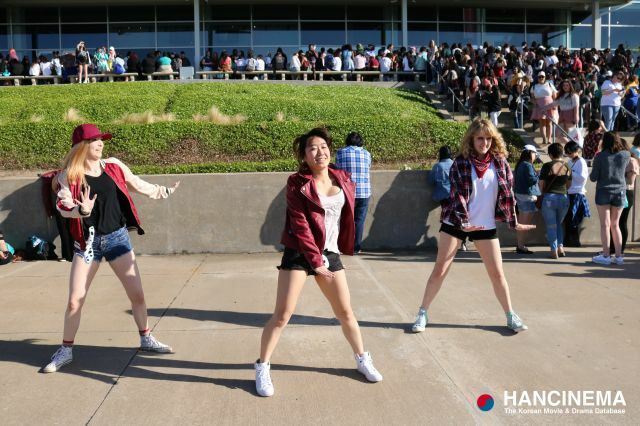 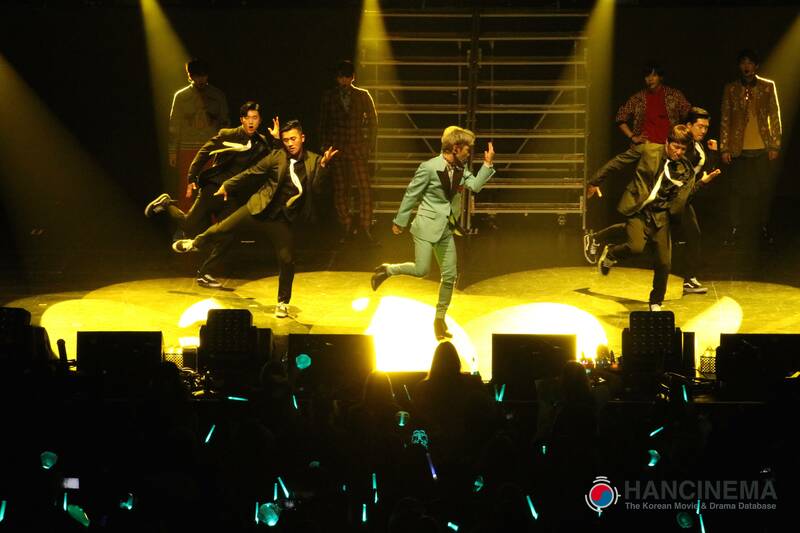 Fan dancers took to the concrete to recreate some of the most beloved SHINee dances such as "Lucifer" and "Replay". 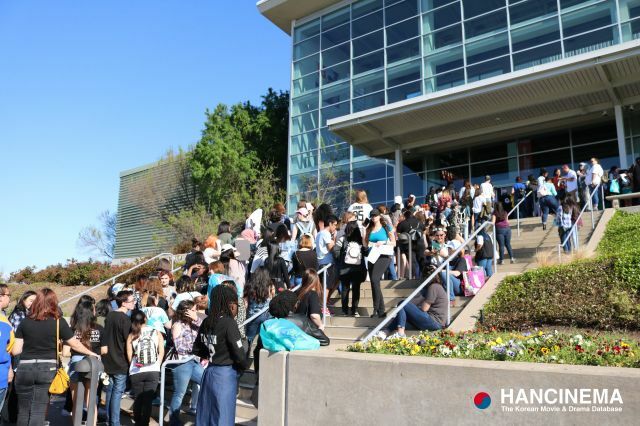 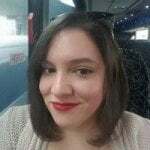 Besides the air of excitement, what was most noticeable about the pre-concert atmosphere was how diverse and friendly the group of SHINee fans were. 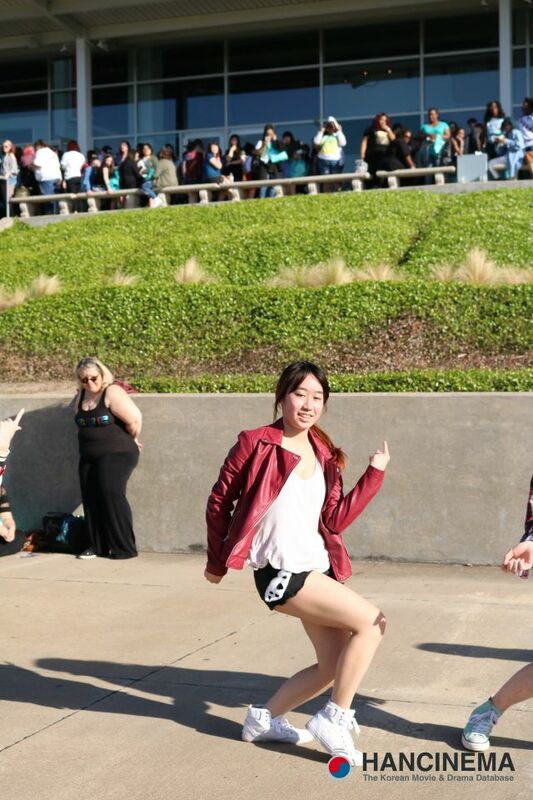 People of all ages and ethnicities roamed about, chatting happily with each other. 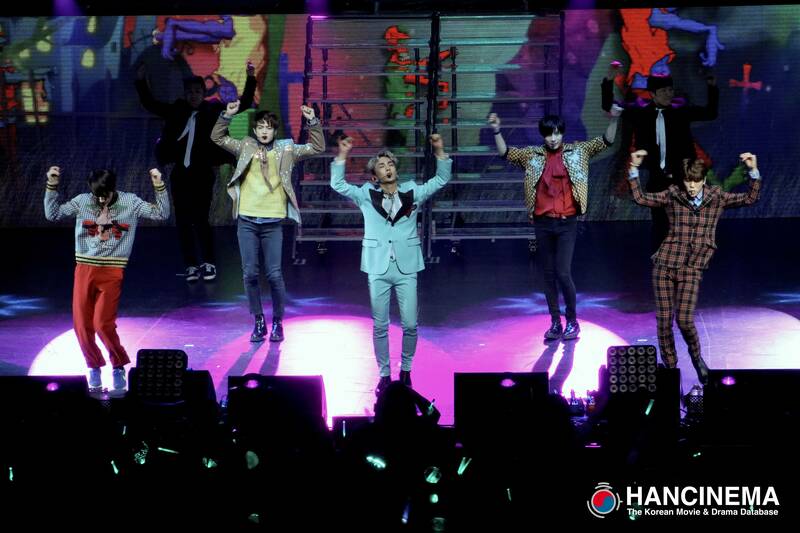 Throughout the night each member had a chance to shine. 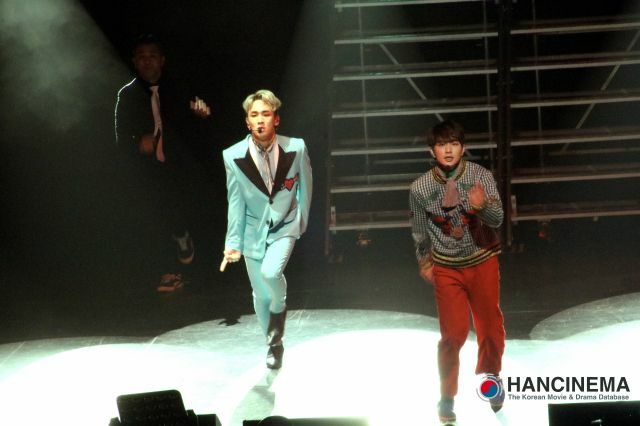 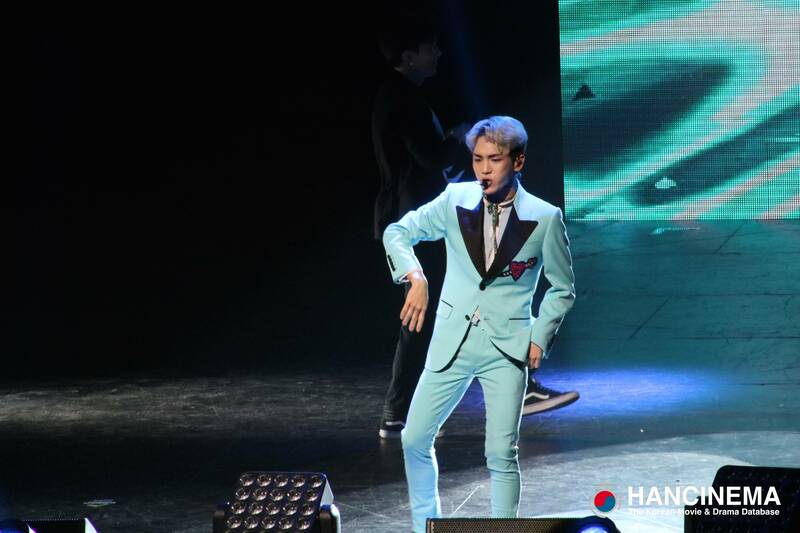 Key had a hard-hitting dance break in "Juliette" while looking quite dapper in a sky blue suit. 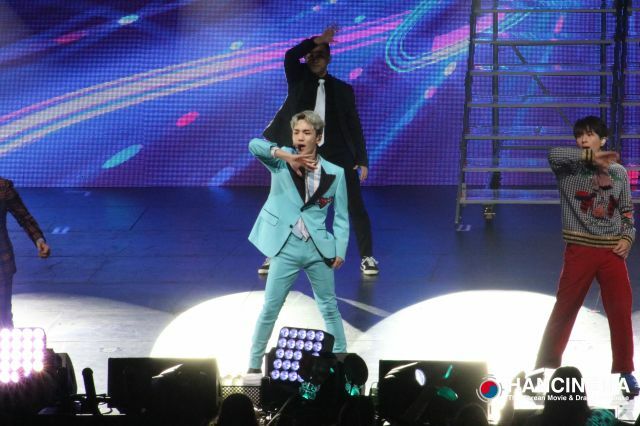 Onew and Jonghyun sang "Please Don't Go", the duet off of their EP "Romeo", which was rich and very in tune. 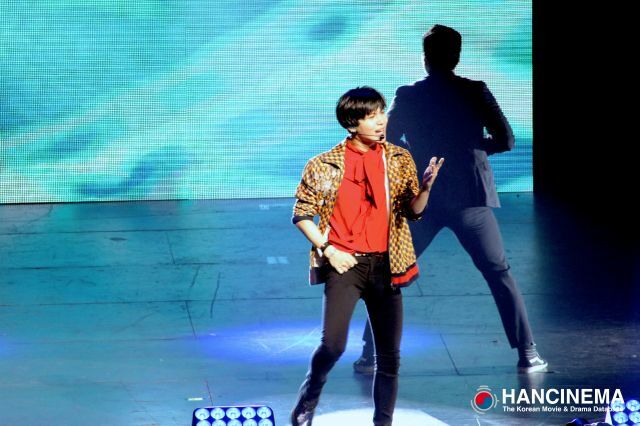 Maknae and gifted dancer Taemin had a dance-heavy solo to his Japanese single "Goodbye" where he beautifully moved in and out of the stage fog. 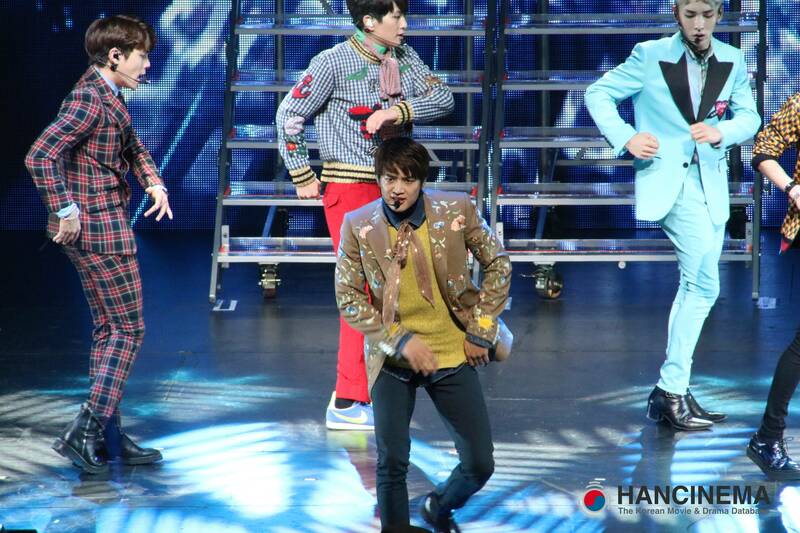 Rather than a rap break, Minho took a dance break in Lucifer that showed his vast improvement over the past nine years. 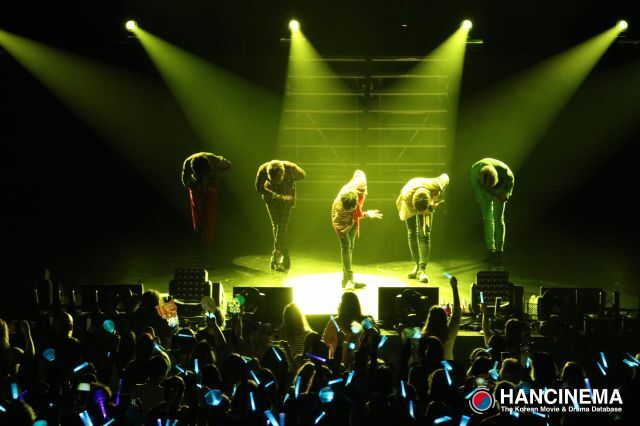 What is interesting is that SHINee thanked the audience for a safe concert. 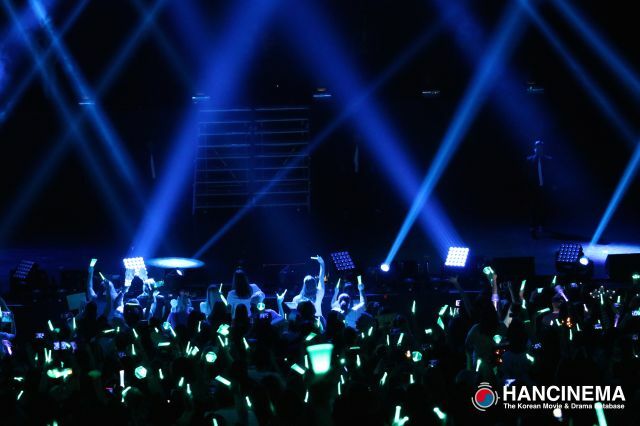 In Korea, many concerts often turn dangerous because of fan excitement and crowding. The boys of SHINee noticed this difference, but also that North American fans are enthusiastic, going so far as to learn lyrics in Korean to sing along with each song. 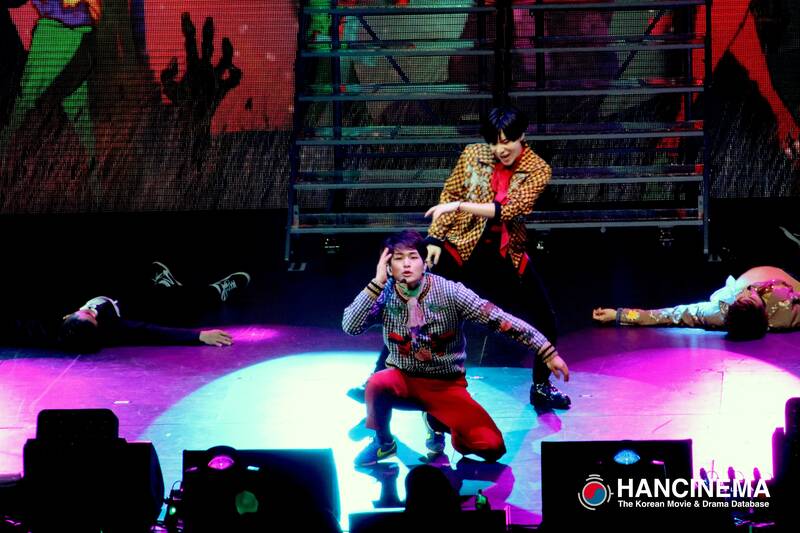 Not only was the audience into it, but the backup dancers were, too. 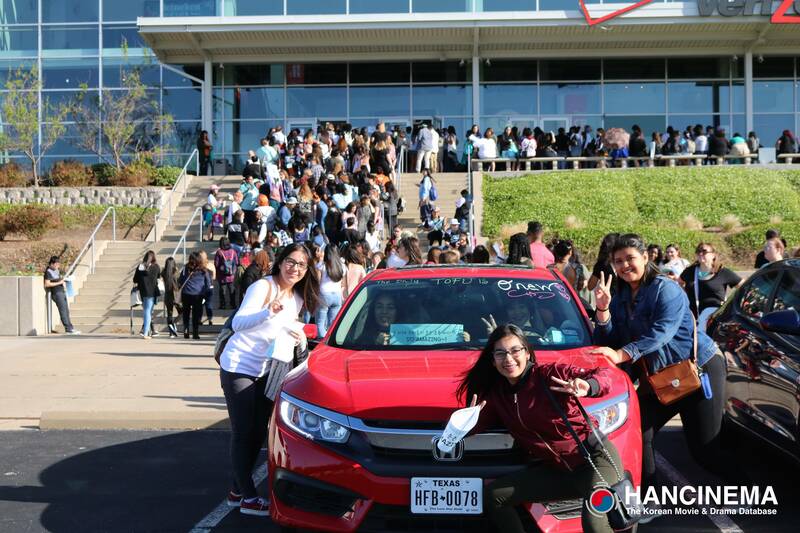 They couldn't stop smiling. 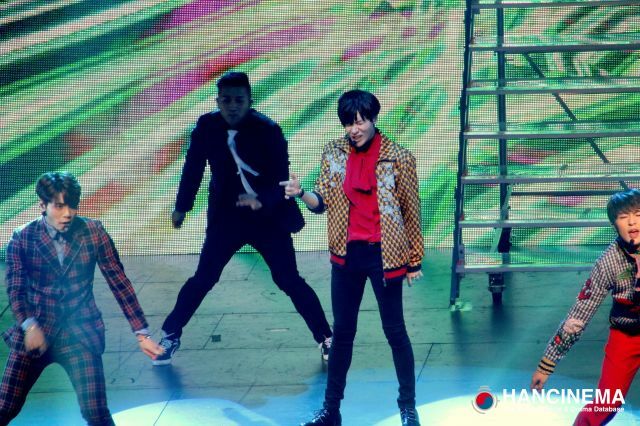 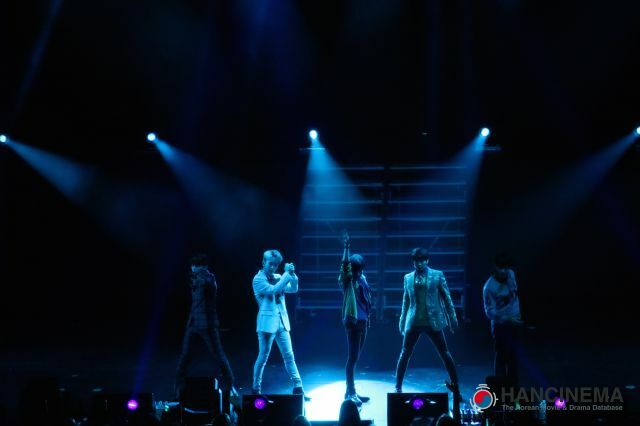 SHINee, their performance, and their attitudes made happiness infectious. 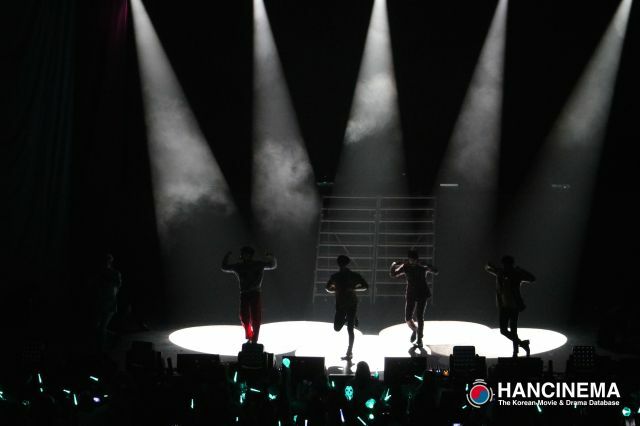 The night ended with "An Encore", a fitting close to the night. 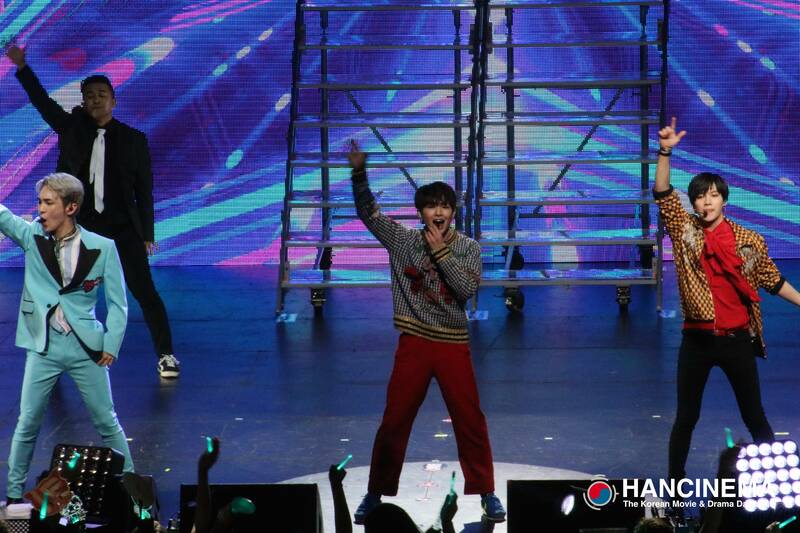 All that is left for SHINee to do is return to their North American audience, hopefully sometime soon! 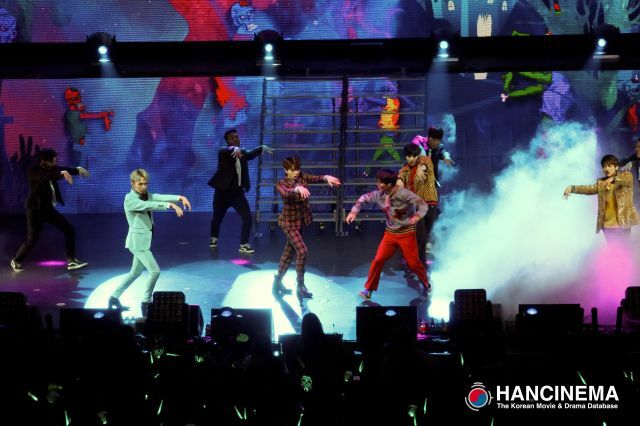 We would like to thank SubKulture Entertainment for allowing HanCinema to cover this amazing show. 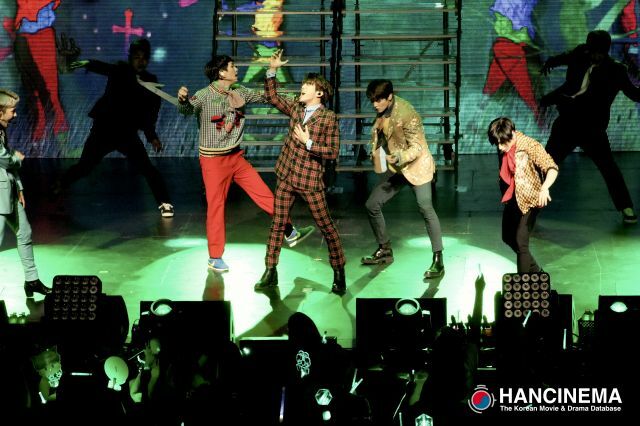 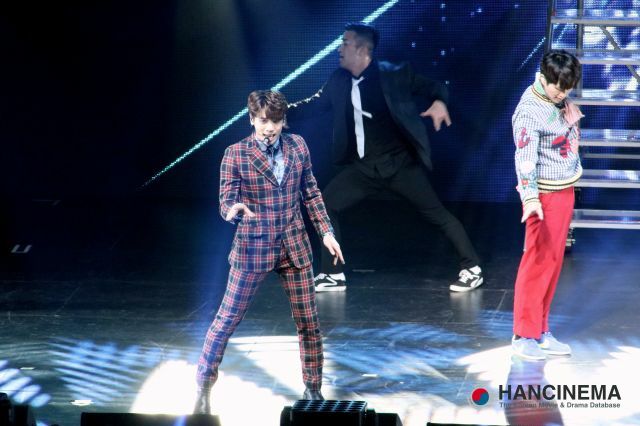 "[HanCinema's Concert Review] SHINee World V in Dallas"
[Hot Takes from the Noonas] Shin Dong-wook comes back after a seven-year hiatus with "Lookout"